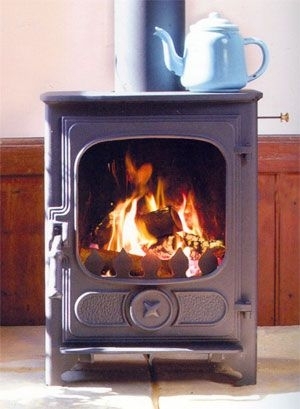 Stove Spares is a one-stop online store for sourcing stove spare parts for multifuel stoves and woodburning stoves. Our online store carries spare parts for all of the top stove manufacturers that currently retail their stove products in the UK, this includes most European and imported stoves. We can also supply spares for pellet boilers including Klover and Extraflame. However, if the spare part that you are looking for isn’t listed on Stove Spares, don’t hesitate to contact us, because if the part is available, we can source it for you. and the number one spare part; the part that needs to be replaced most often, is stove glass. The glass on most stoves is easy to damage and finding the right replacement glass, then having it cut to size by a local glazier can prove to be a time consuming and expensive option, so we make sure that we hold the largest stock of stove replacement glass of any UK online shop. If, however, if we don’t carry the spare glass that you are looking for and we are unable to source it for you, we have a glazier on hand that will cut a replacement glass panel to suit your requirements. Get started and search for stove spares. As well as door rope seals, grates, fire bricks, baffle plates and replacement glass, we offer a massive range of other stove spare parts, retaining bars, heat resistant paint, flue spigots, glass clips, flue collars, blanking plates, etc, etc. If you have any questions about any of our stove spares, we don’t feature the part that you need for your woodburning or multifuel stove, don’t hesitate to contact us and we will see if we can source the part for you.